Welcome back. Do you watch TV crime shows? TV isn’t my forte, but it seems there have been quite a few shows that highlight the marvels of forensic science. Though I never saw CSI: Crime Scene Investigation, I’ve seen episodes of CSI Miami. And being alert to current events, I knew that Abby (Pauley Perrette), the forensic scientist on NCIS, was leaving. 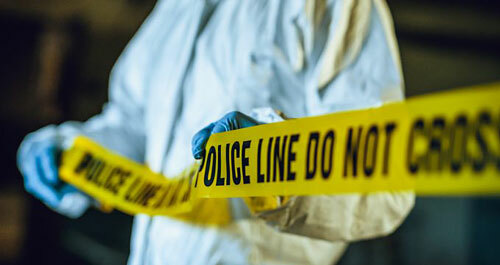 Crime scene police tape (photo from news.gsu.edu/2018/03/07/georgia-state-law-review-symposium-explores-future-forensic-science-reform-april-6/). If you missed the news, forensic science has a problem that goes way beyond TV and Abby’s departure. I’m not referring to crime show myths reviewed in a 2017 Guardian interview--e.g., DNA does not solve every case, evidence and results do not come quickly, not everyone leaves fingerprints. No, the problem is much more fundamental. Forensic science--the application of scientific principles and techniques to criminal justice, especially to collecting, examining and analyzing physical evidence--is, well, short on science. Scientists affiliated with West Virginia, Cornell, Brown, Arizona and Johns Hopkins universities and the Salk Institute for Biological Studies discussed the problem in a recent article in the Proceedings of the National Academy of Sciences. The six scientists were members of the former National Commission for Forensic Science, which I’ll get back to. In brief, three Supreme Court rulings in the 1990s led to the requirement that scientific evidence must be both reliable and relevant. That posed a quandary for prosecutors. Many forensic methods, particularly those applying pattern evidence (e.g., fingerprint, firearm and toolmark, blood stain, tire and footwear, handwriting and bite mark analyses), evolved outside of traditional science before the new admissibility standards. Past convictions could be in jeopardy if they relied on methods that were never validated scientifically. 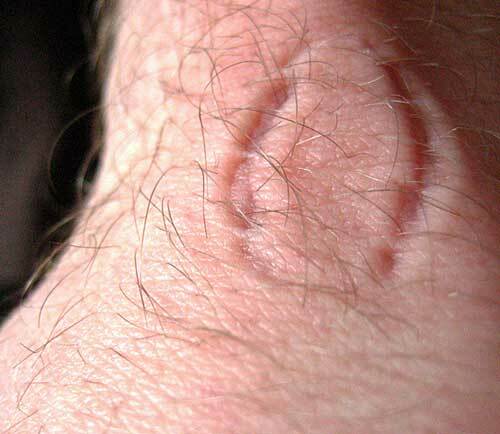 Bite mark identification, a forensic method discredited by science and false convictions, continues to be accepted in U.S. courts as a matter of precedent (photo from aboutforensics.co.uk/forensic-odontology/). Congress directed the National Academy of Sciences to study and recommend ways to strengthen forensic science. The resulting 328-page, 2009 report from the National Research Council described serious deficiencies in the nation's forensic science system. For example, although forensic evidence is often offered to match evidence to a person or source, only nuclear DNA analysis has been shown able to consistently, and with a high degree of certainty, demonstrate the connection. To define the measurement uncertainty of other forensic methods (e.g., the likelihood a fingerprint is yours versus matches yours) would require large population studies to determine how many sources might share the same or similar features. In recommending major reforms and new research, the report strongly urged Congress to establish an independent entity to lead the research, establish and enforce standards for forensic professionals and laboratories, and oversee education standards. In response, Congress created the NCFS, not as an independent entity, but under the Department of Justice (DOJ) and National Institute of Standards and Technology. The commission was to provide recommendations and advice to the DOJ. 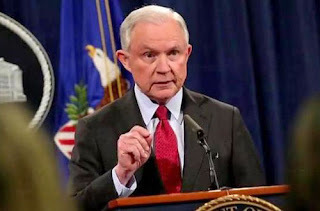 Begun in 2013 under the Obama administration, the NCFS was terminated by then-Attorney General Jeff Sessions in 2017 as the commission began the last meeting of its second term with some far-reaching recommendations pending. Attorney General Jeff Sessions (photo from www.cbsnews.com/news/jeff-sessions-continues-as-attorney-general-in-spite-of-trumps-open-criticism/). The commission had held 13 meetings, heard from 140 invited presenters and approved 43 documents and summary reports. Composed of a diverse mix of 40 forensic and non-forensic scientists, law enforcement officials, judges and attorneys, the NCFS overcame a steep learning curve to function efficiently. Only one document was approved before its fifth meeting, yet eight were approved at a single 2016 meeting. The six scientists judge that the hard work needed to forge the heterogeneous commission into a consensus-reaching body was lost with NCFS’s termination. They ask the larger scientific community to advocate for: (i) the research and financial support needed to advance forensic methods and (ii) the requirement for empirical testing to advance the cause of justice. Undoubtedly the DOJ can strengthen forensic science without the NCFS but transferring oversight of forensic science from independent scientists to law enforcement is not encouraging. Observers like me have to wonder if the move was taken to appease prosecutors or, given other actions by the Trump administration, to simply roll back another Obama-era program and ignore science.